Neuropathy is the name given to a condition that affects an individual’s nerve cells. Simply stated or said neuropathy means a condition of the nerves. Information revolving around the topic of neuropathy is still being unveiled, not everything is known about neuropathy, neuropathy causes and neuropathy treatments. 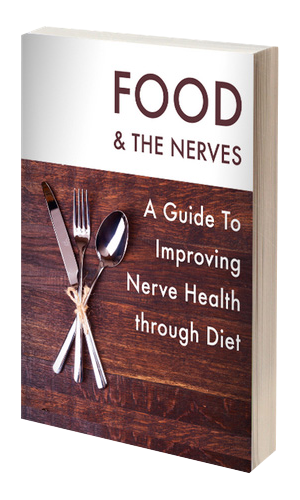 In this article, we will do our best to discuss what we do know about neuropathy and how those who suffer with chronic nerve pain can find a nerve pain treatment that can help alleviate nerve pain. First off, we must briefly discuss what neuropathy is and how one develops this painful condition. Neuropathy can be caused by several factors such as a physical trauma or injury that causes nerve cells to become damaged as a result. Not every cause for neuropathy has been discovered but listed below you will see which neuropathy causes have been revealed some of which are avoidable while others – not so much. Now that we have somewhat of an understanding of what may cause nerve damage, we must now discuss what happens if the body experiences nerve damage. When a body develops nerve damage, this means that breakdown in communication between the brain, spinal cord and peripheral nerves has happened and the brain is unable to communicate clearly to the nerves letting the nerves know that they are feeling or sensing something that is hot, cold slippery or tough to the touch. Nerve pain symptoms such as the ones listed create a frustrating present and a miserable future without nerve pain treatment and the relief that it can provide. Nerve pain treatment can be nothing more than a simple vitamin supplement taken daily such as an increase in vitamin B, Alpha Lipoic Acid or Benfotiamine. Or nerve pain treatment could involve electrical nerve stimulation and prescription medication. It is important that open communication is had between the patient and the doctor.